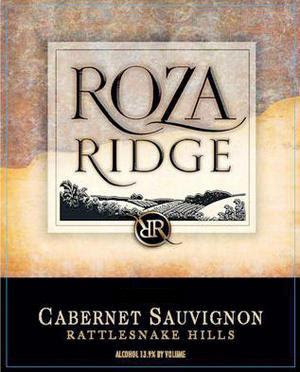 The 2005 Roza Ridge Cabernet has been a staple at Suburban (in past vintages) for the past 3 years or so. We love it so much that when they lost their distributor in New York, we contacted the winery directly and arranged for it to be brought in just for us. We think it is a bonafide steal at $17.99. If this wine were from Caifornia...it would sell for 25 bucks! The 2005 Roza Risge Cabernet was barrel aged in French and American oak for eighteen months. Dark red in color; complex aromas with oak spice and ripe fruits of black cherry and blueberry. Integrated tannins leave this wine smooth and soft. Perfect for grilled meats and heartier dishes. To take advantage of our "Twitter Tuesday" Free Shipping special, simply order the wine by clicking below...in the coment section of your order put in the code "TWITTER" and your shipping will be free! Please note that the free shipping option will not be reflected in your "e-shopping cart", but will be rung out correctly in store.